Do you have a Facebook/Ebay/Amazon page? How long have you been trading? Where did you hear about Neviti? Which Neviti products are you interested in? 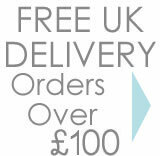 Neviti would like to keep you up to date with new product launches and special offers via email.